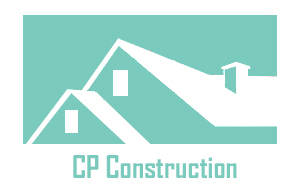 Click here to enjoy our daily log from this race. 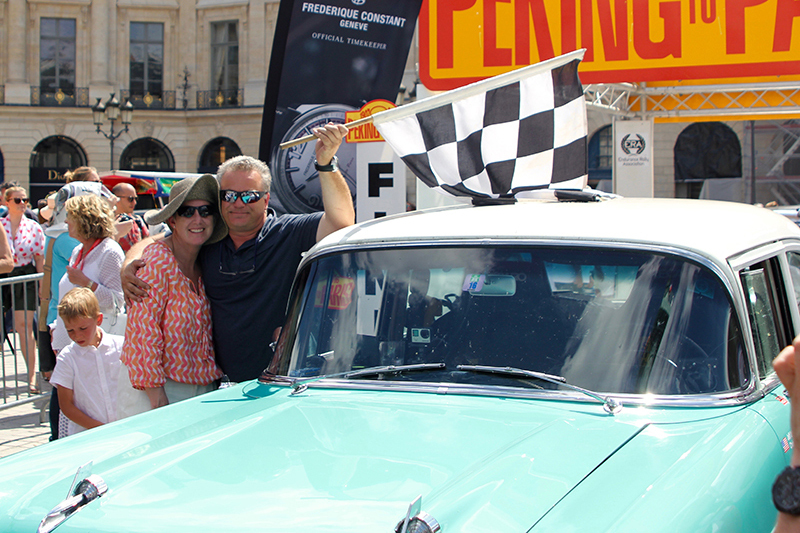 The Bodacious teams participated in the Transamerica Rally in support of a cause near and dear to their hearts. It began in Charleston South Carolina on May 27th and finished in Seattle WA on June 17th 2018. The three-week fusion of competitive historic rallying and road trip clocked up 8,000 kilometers of breath taking sights and scenery. As well as taking in little-known back roads, the route encompassed deserts, oceans, mountains, flat plains, small towns, big cities... and it featured gravel tests, forest regularities, and race circuits. We raised nearly $73,000 for Metastatic breast cancer, in partnership with the www.drive4stageiv.com website. 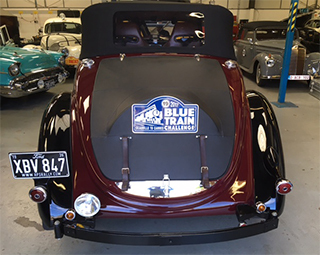 The Blue Train Challenge is an imaginative new Endurance Rally Association event from the same thoroughbred stable as the highly successful Flying Scotsman and Alpine Trial. Designed from the ground up for enthusiasts with pre-1948 Vintage and early post-war 'Riviera Sports Cars', the Blue Train re-captures that nostalgic 1930's age when pioneering motorists set out to beat the famous Train Bleu on its journey across France from the English Channel to the Cote d’Azur. Nearly six months after the Alpine Trial, the Bodacious Racing teams were back in their driver seats again, headed across the ocean for the quintessential Flying Scotsman Rally. This three-day Vintageant car rally was held in the magnificent countryside of Northern England and Scotland. 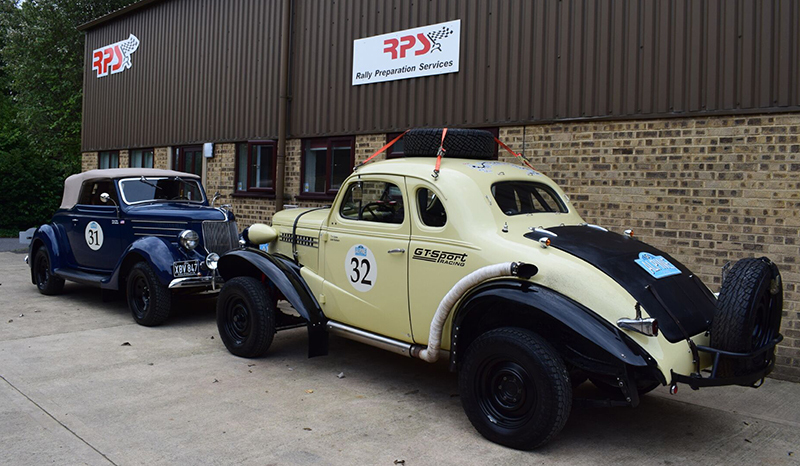 Our first team, Tim Eades and Jack Baldwin, drove the 1938 - Chevrolet Fangio Coupe, assigned number 97. 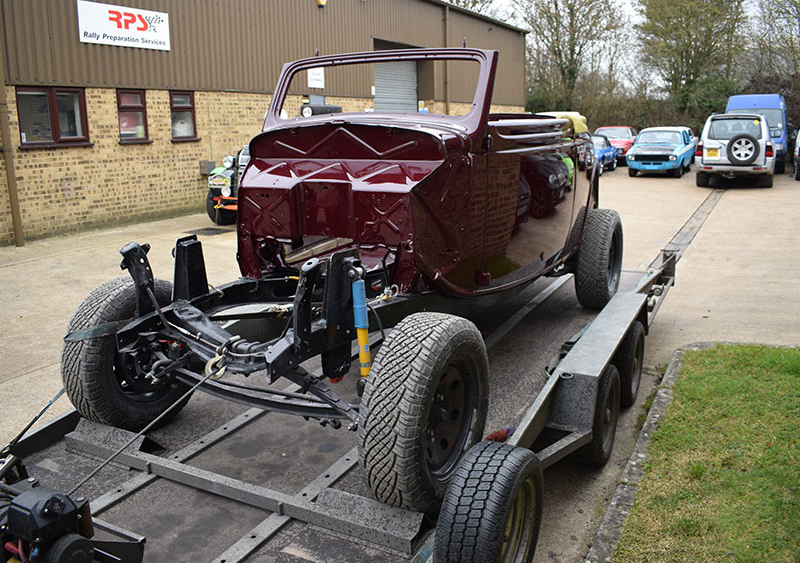 With general maintenance and tune up, the RPS team prepared this car without any major modifications. 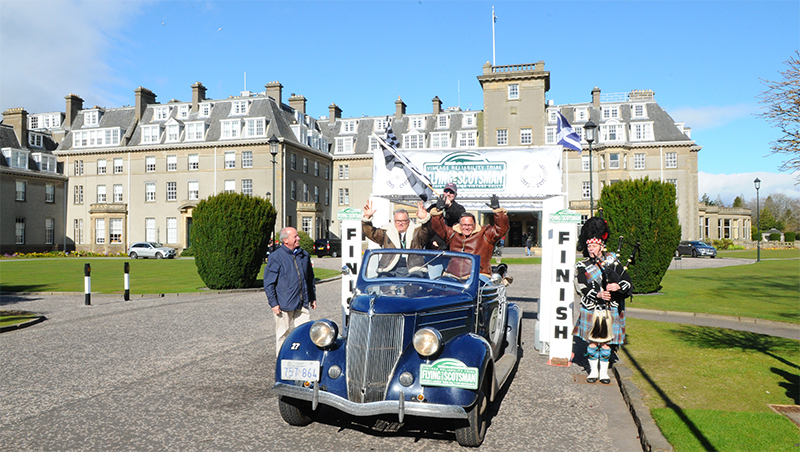 In their second Flying Scotsman appearance, Jeff Urbina and Chris Pike drove the 1936 - Ford Cabriolet. 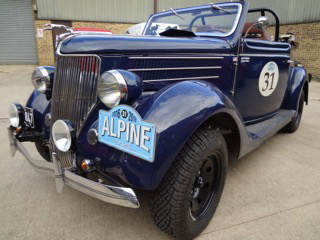 After the Alpine trial, the Ford went to RPS for further improvements. Fuel tanks were optimized, a new dash with cleaner layout and a new paint job (down east red with black fenders), which turned some heads. It also got a new canvas top, lightweight trunk lid, lightweight roll cage and improved brakes. RPS did a great job "again" on limited time. Jeff and Chris raced under number 76. The Alpine Trial has quickly become established as the must do Vintage-only event for those seeking out the finest in Alpine motoring. The first day took place in the Jura Mountains, which rise immediately behind the beautiful art-deco Rally HQ of the Domaine de Divonne hotel. While not as high or dramatic as their Alpine counterparts further south, the fast sweeping roads of the High Jura are made for vintage motoring, and they provide a perfect introduction to the challenges of this three day event. On Day Two the cars headed south from Divonne, following the spine of the mountains towards the Rhone valley. Once across the Rhone, the mountains grow steadily higher until, after lunch, the dramatic limestone crags of the Chartreuse Massif hove into view, a new area for the "Alpine". After cresting the famous Col du Granier, the route descended briefly into the Isere valley before turning north for the final run into Annecy. The final day provided the stiffest challenge of all, using virtually every remote Alpine road in a compact route that is rarely out of sight of Mont Blanc. A few new mountain passes were thrown in for good measure before the event returned to Annecy, for the Gala Prize Giving. 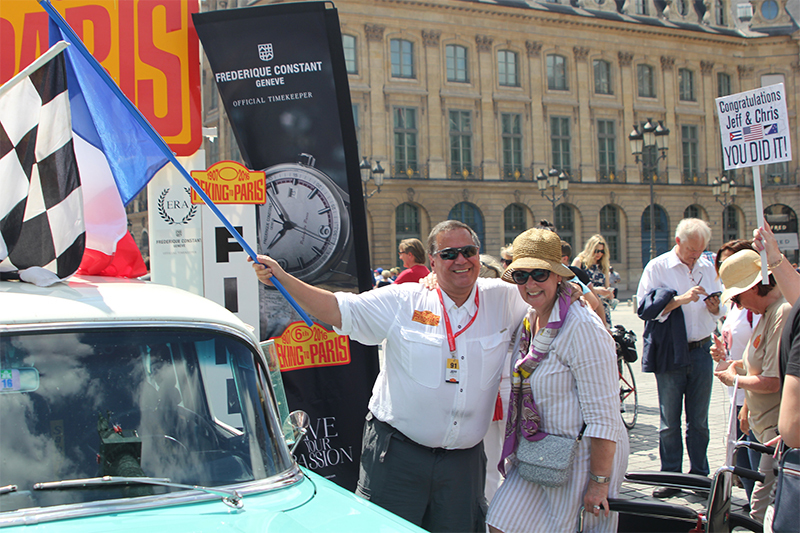 Nearly 1000 kilometres of the finest vintage motoring... what better way to spend three days in the Alps! Jeff Urbina and Willie McNickle drove the 1936 Ford Cabriolet and Tim Eades and Jack Baldwin drove the 1938 Chevy Coupe. The 2016 Peking to Paris Motor Challenge started at the Great Wall outside Beijing. The adventurous route wound through Mongolia, Russia, Belarus, Poland, Slovakia, Hungary, Slovenia, Italy, and Switzerland before finishing in Paris, France. 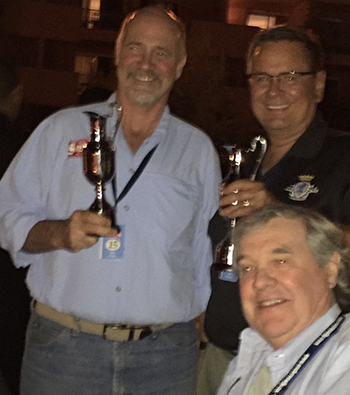 Our drivers; Jeff Urbina, Chris Pike, Tim Eades, and Willie McNickle, competed with over 100 cars, driving over 8,510 miles in 36 days. To qualify for this event, cars must "reasonably stand a chance of coping" with the challenges they will face. Each participant brought their own camping gear and spare parts, including extra wheels. It was a race without compromises, with very long and strenuous sections. It was a real adventure and a big challenge. On Friday April 15th, 2016, Jeff Urbina and Chris Pike were "All aboard" departing Belvoir Castle, an idyllic East Midlands location set in 16,000 acres of beautiful parkland. They had three days of glorious Vintage motoring through the Lincolnshire and Yorkshire Wolds then onwards to the North and beyond via Northumberland and some of Scotland's finest Lochs and Glens before arriving, bang on time, in front of the splendid Gleneagles hotel. Jeff Urbina and Tim Eades drove the 1938 Chevrolet Fangio Coupe in The Sahara Challenge, placing 2nd overall for their class (Vintageant - pre 1941 type cars). 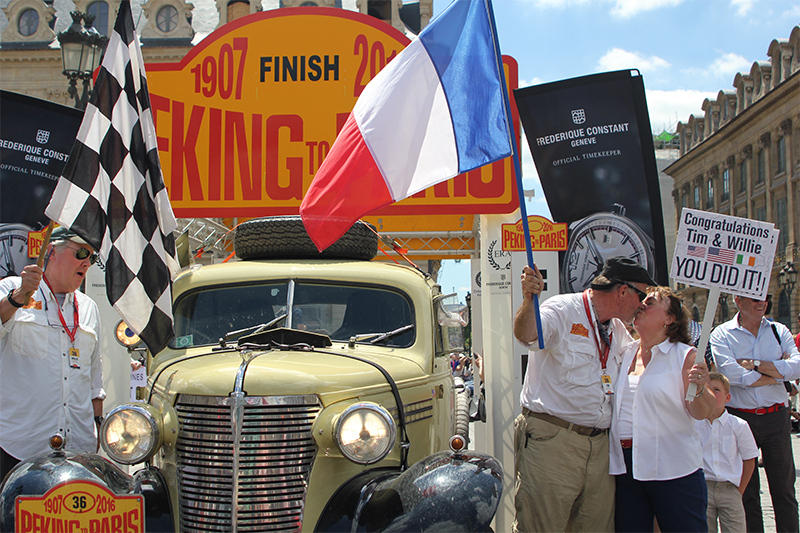 The ten-day event from Toledo to Marrakesh proved to be great preparation for the Peking to Paris 2016, but more than that, it was a fantastic rally experience in its own right.